Fig. 11: Placenta and sterile scale in frontal aspect after removal of spathe and carpel wall. 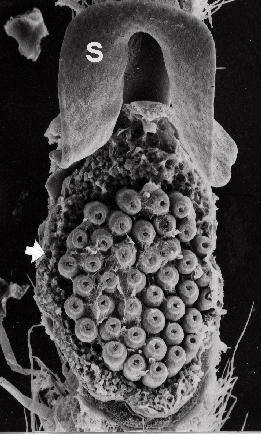 Facing the micropyles of the orthotropous ovules. S = scale, arrow = periplacental trichomes.